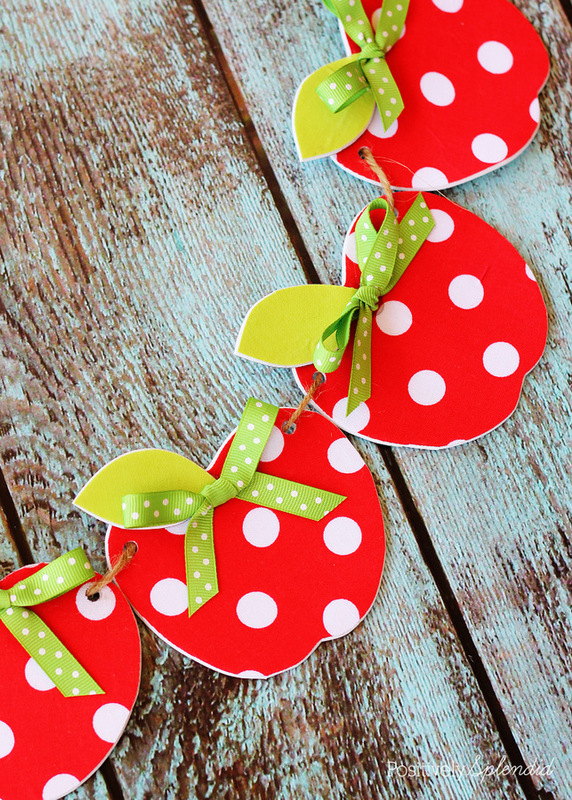 Usher in the back-to-school season by crafting a sweet no-sew fabric apple garland to decorate a classroom or any other space. This is a super easy craft project that requires just a few basic materials, and it is a great way to use up fabric scraps! Let me show you how it’s done. 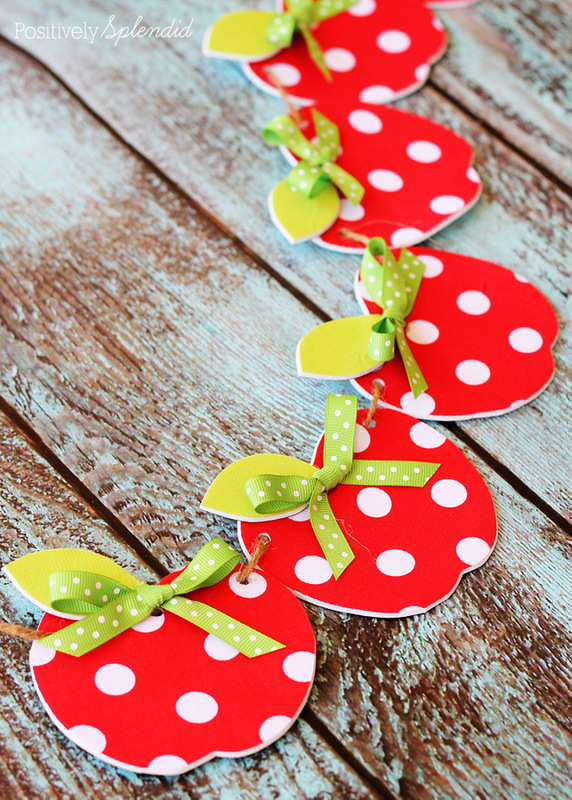 Download and print the apple garland templates onto white cardstock, and cut out each piece. Adhere the wrong side of the red fabric piece to the sticky side of 1 of the adhesive foam sheets. Using the Sharpie, trace the desired number of apple body pieces onto the foam side of the foam and fabric piece. 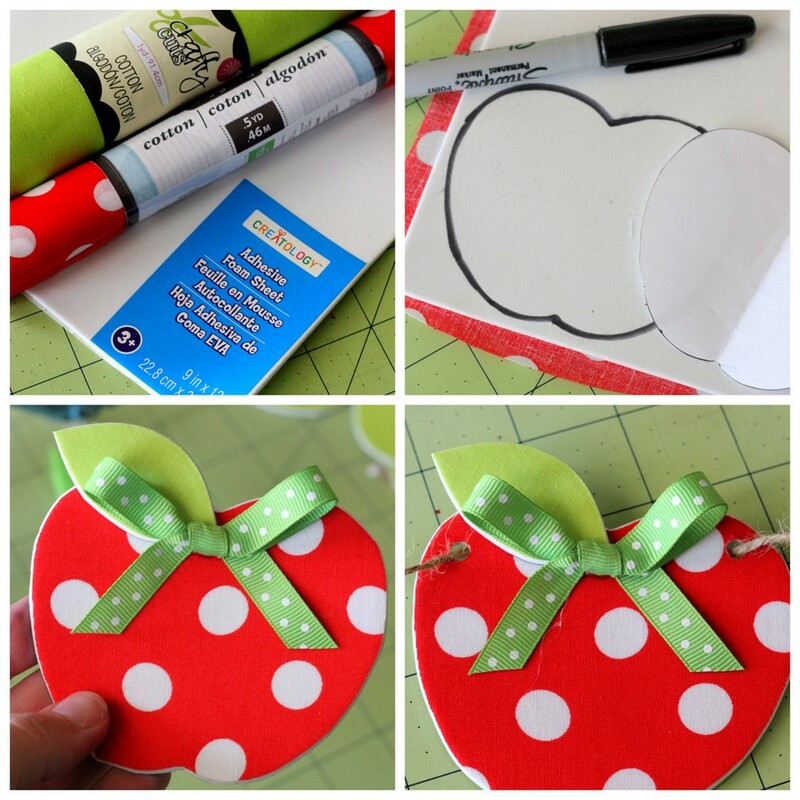 Use scissors to cut the apple body pieces out. Adhere the wrong side of the green fabric to the sticky side of the remaining adhesive foam sheet. Use the Sharpie to trace and cut out the desired number of of leaf pieces in a similar fashion. 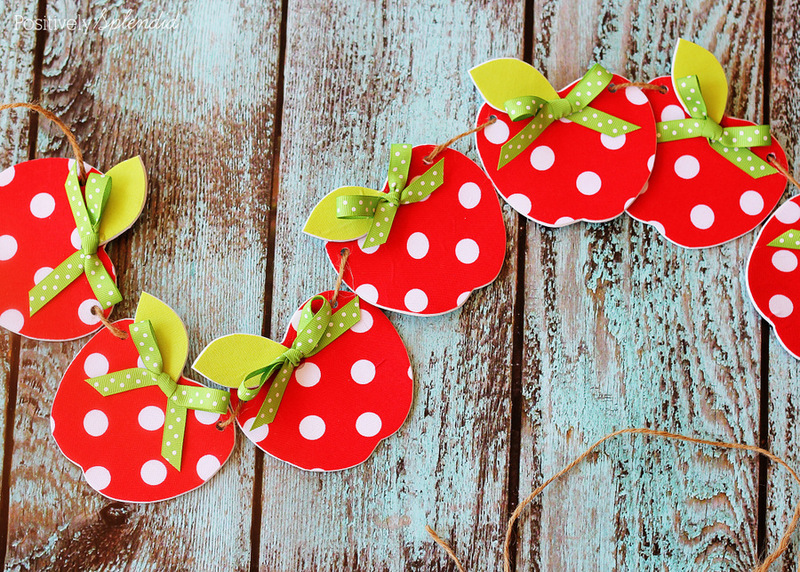 Use hot glue to affix a leaf piece to each apple piece. Tie a small ribbon bow, and affix it to center of the apple, as shown. Use the Crop-A-Dile to punch 2 holes on either side of the top of each of the apples. 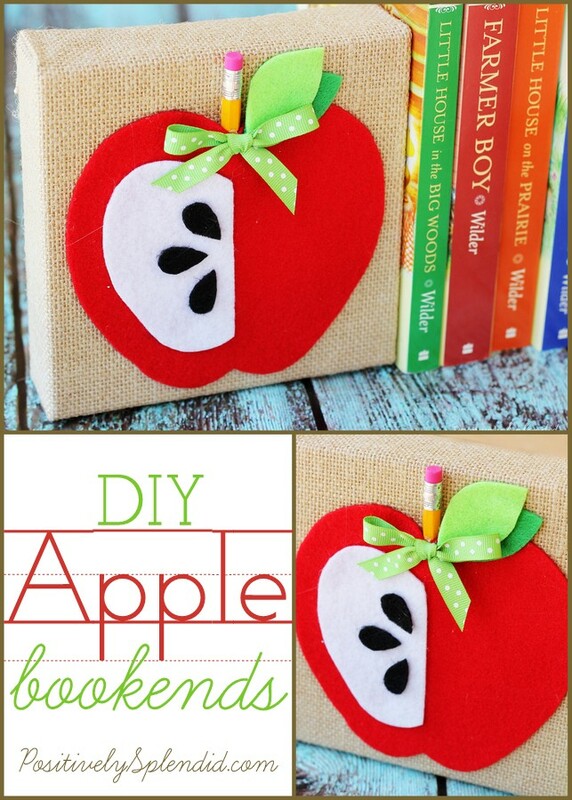 Thread the apples onto the piece of twine. 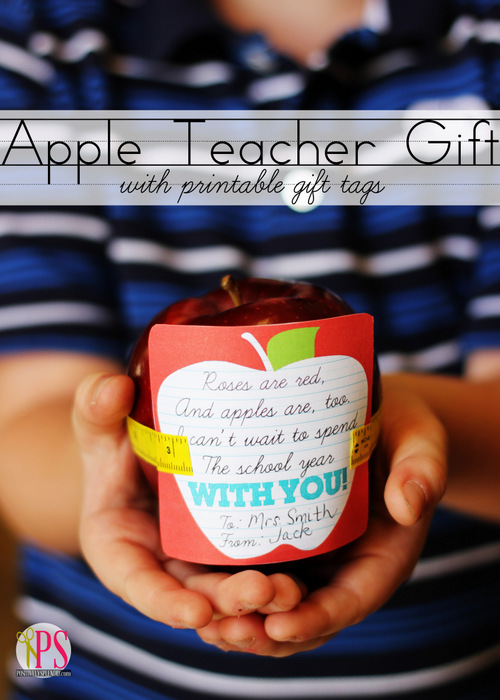 This project would be adorable displayed in a classroom, or even on a back-to-school mantel display. 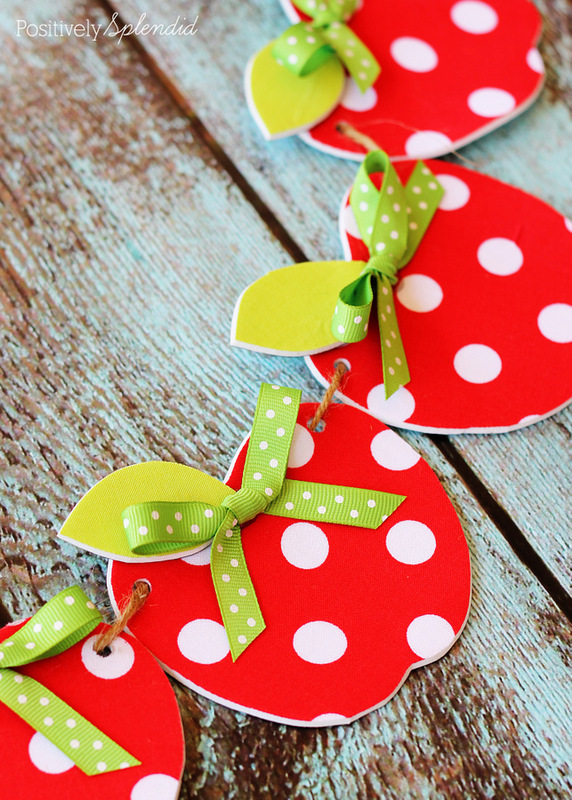 The apples would be adorable on a wreath, too! 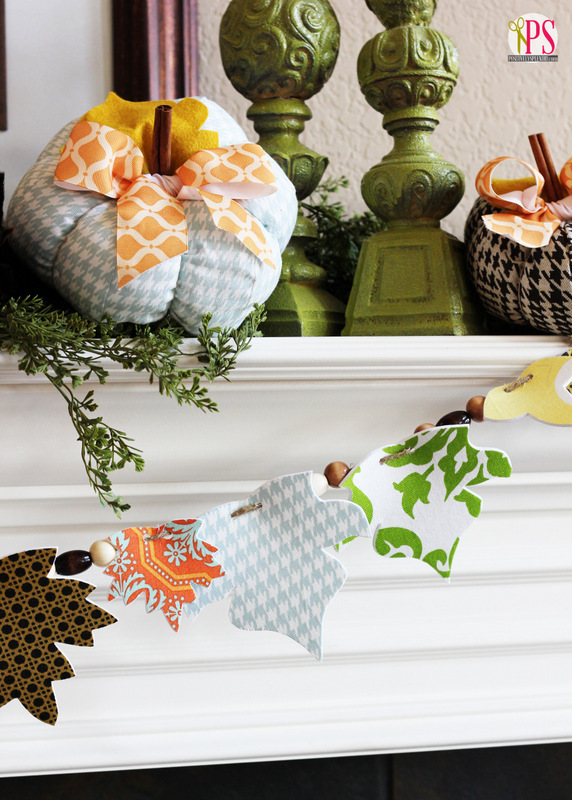 This is the same basic process I used to create my fall leaf garland last year. I love how two completely different looks can be achieved with this fun technique! 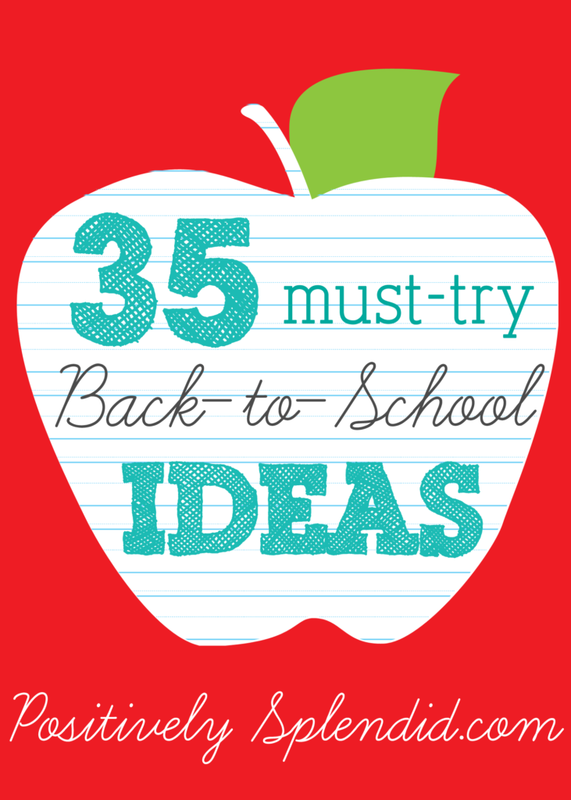 Looking for even more back-to-school ideas? 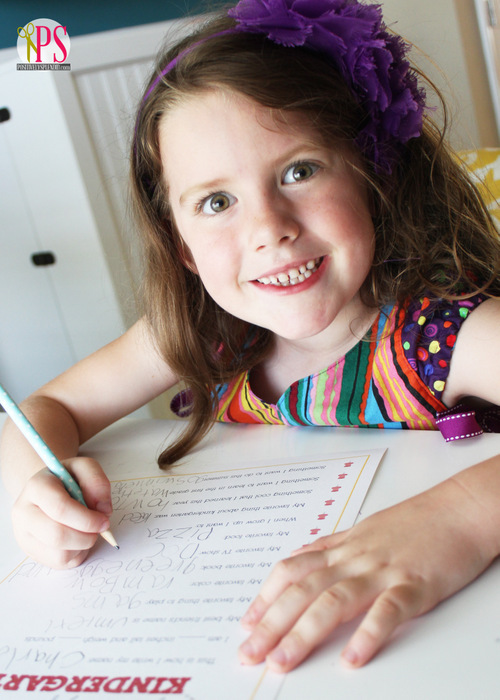 Check out these other fun projects!